Firstly I would like to say thank you to Lia, for nominating me. I’ve only been blogging for a few weeks so it means a lot for my blog to have even been read by a few people, let alone shared for recognition. Lia nominated me a week or so ago, in her own nomination post. Lia’s blog covers a wide range of topics and she writes in such a personable way. Also check out her Instagram feed which is full of lovely inspirational quotes. I’ve been crafting for a good few years, making my own Christmas cards, cards for family and friends , birthdays etc. I even made all of my own wedding stationary. I found WordPress after reading about how to start a blog on various websites and have been blogging since August 1st. My first piece of advice is to not get too hung up on your stats. It’s good fun to check how many people have read your posts, where in the world they are and how they’ve come by your blog, but don’t let it become the focus. I can see how it would easily become all about the numbers and so my advice (& I’m saying this to myself too) is as along as you are enjoying writing and posting then the stats are not important. My second piece of advice is to not put pressure on yourself to post. For a business I guess it’s different but for those of us blogging because we are passionate about something, it shouldn’t be a chore to write and publish a piece. I’ve had a few days where I’ve felt like I had to post but wasn’t all that inspired on that day. That’s ok. If you’re writing for the sake of writing then you won’t enjoy it. If you’re writing about something you like, are inspired by, want to write about then you will enjoy it more and people will enjoy reading it because your passion will shine through. 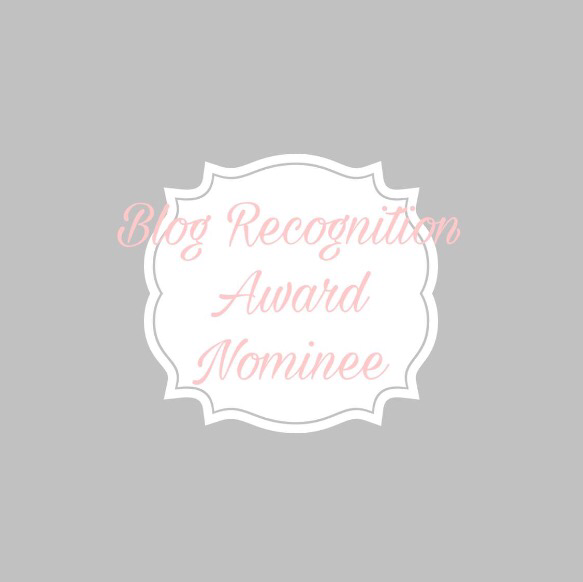 And now for my nominations…..
Write a brief few words about the person who nominated you and their blog. Thank you for reading, I look forward to reading my nominees posts and happy crafting! First of all , great congratulations to you for being nominated for the award. And secondly thanks a lot do nominating me, because I have also been blogging since Aug 13 and its a great thing for me that you liked my blog and also to get nominated by you.